Hiring managers typically look for job candidates with both specific hard skills and soft skills. Hard skills are job-specific skills and knowledge you need to perform a job. But what are soft skills and how do they differ from hard skills? Hard skills are skills you can gain through education, training programs, certifications, and on-the-job training. These are typically quantifiable skills that can be easily defined and evaluated. For example, a hard skill for an IT professional might be computer programming, while a hard skill for a carpenter might be a knowledge of wood framing. Soft skills, on the other hand, are interpersonal (people) skills. These are much harder to define and evaluate. Soft skills include communication skills, listening skills, and empathy, among others. While hard skills are job-specific, most employers are looking for similar soft skills in their job candidates. Read below for a more detailed definition of soft skills and some tips for emphasizing your soft skills while job searching. What Exactly Are Soft Skills? Soft skills are the personal attributes, personality traits, inherent social cues, and communication abilities needed for success on the job. Soft skills characterize how a person interacts in his or her relationships with others. Unlike hard skills that are learned, soft skills are similar to emotions or insights that allow people to “read” others. These are much harder to learn, at least in a traditional classroom. They are also much harder to measure and evaluate. Soft skills include attitude, communication, creative thinking, work ethic, teamwork, networking, decision making, positivity, time management, motivation, flexibility, problem-solving, critical thinking, and conflict resolution. Hybrid skills are related to soft skills in that they include a combination of non-technical and technical skills. It’s easy to understand why employers want job candidates with particular hard skills. After all, if you are hiring a carpenter, he or she needs skills in carpentry. However, soft skills are important to the success of almost all employers. After all, nearly every job requires employees to engage with others in some way. Therefore, being able to interact well with others is important in any job. Another reason hiring managers and employers look for applicants with soft skills is because soft skills are transferable skills that can be used regardless of the job at which the person is working. This makes job candidates with soft skills very adaptable employees. 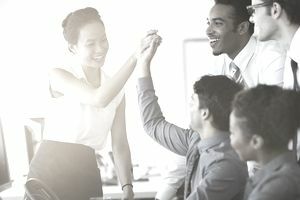 Also, because soft skills are acquired over time—as opposed to those acquired in a short time during a class or training program—people with soft skills are often seen as having unique and broad backgrounds that can diversify a company and help it run more efficiently. Soft skills are particularly important in customer-based jobs. These employees will typically be in direct contact with customers. It takes a number of soft skills to be able to listen to a customer and provide that customer with helpful and polite service. First, make a list of the soft skills you have that are relevant to the job you want. Look at a list of soft skills, and circle the ones that you have. Then, compare your list of soft skills with the job listing. Which of these soft skills are mentioned in the listing? Which of these do you think would be most useful in this job? Make a list of three to five soft skills you have that are also needed for the job. Then, include some of these soft skills in your resume. You can add them to a skills section (or a section titled “Transferable Skills”). You can also use them as keywords throughout your resume, mentioning them in places such as your resume summary, and in descriptions of your duties for each job in your "Work History" section. You can also mention these soft skills in your cover letter. Pick one or two soft skills you have that appear to be the most important for the job you’d like. In your cover letter, provide evidence that shows you have those particular skills. Finally, you can highlight these soft skills in your interviews. You can mention examples of times you have displayed some of these skills in the past at work. However, you can also demonstrate your soft skills during the interview. For example, by being friendly and approachable during the interview, you’ll show your ability to interact with others. And by paying attention while the interviewer is talking, you will show your listening skills. These actions will demonstrate your soft skills clearly to the hiring manager. Review a list of the best skills to include on your resume, incorporate them into your job search materials, and mention them during job interviews.